Flower Fantasies is an absolutely wonderful design with so much detail and ingenuity. 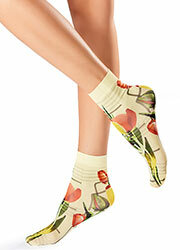 These socks are full of rich colours and detailed motifs, all made in a wonderful watercolour paint style look. 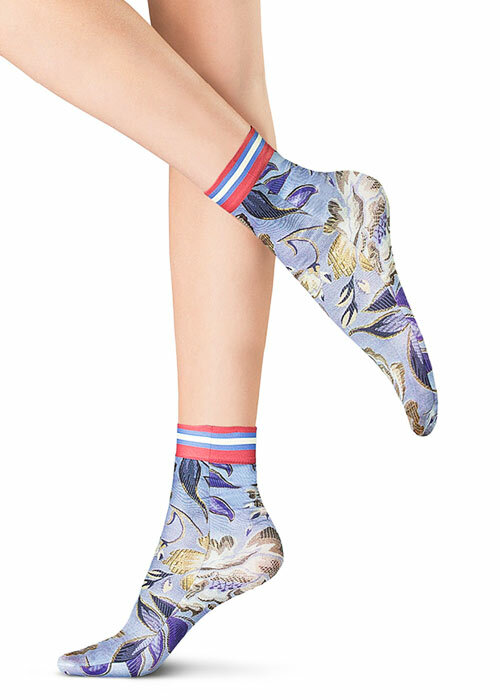 And what's more, there is a magnificent coloured cuff across the top of these socks too, to ad something even more eye catching and new to the look.